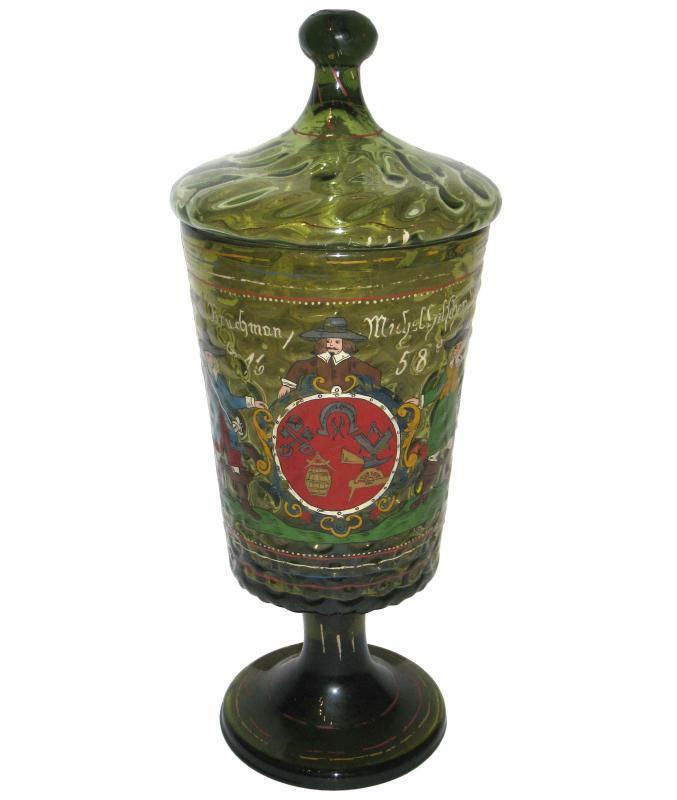 This very large, antique trade guild tankard or goblet with lid (humpen) likely comes from the German state of Hesse and is a nineteenth century copy of a seventeenth century design. 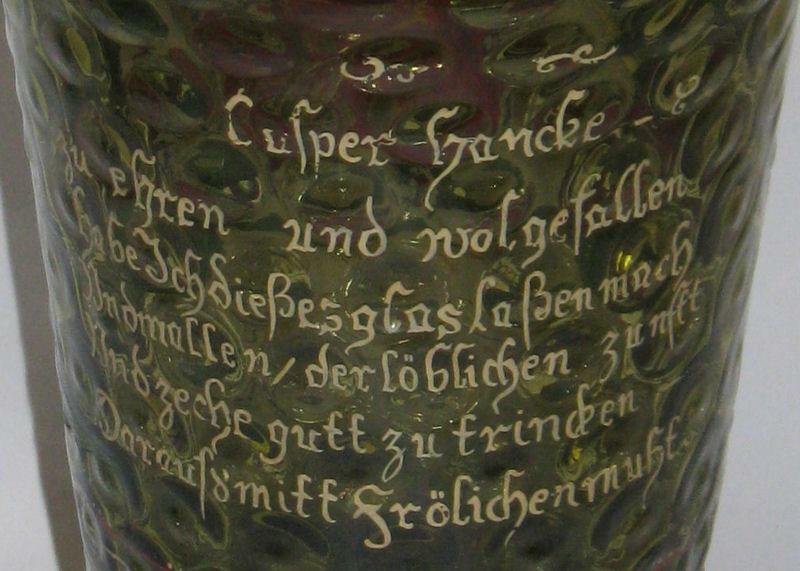 The same scene can be seen on a cylindrical beaker without lid in the collection of the Muza Eretz Museum in Tel Aviv. 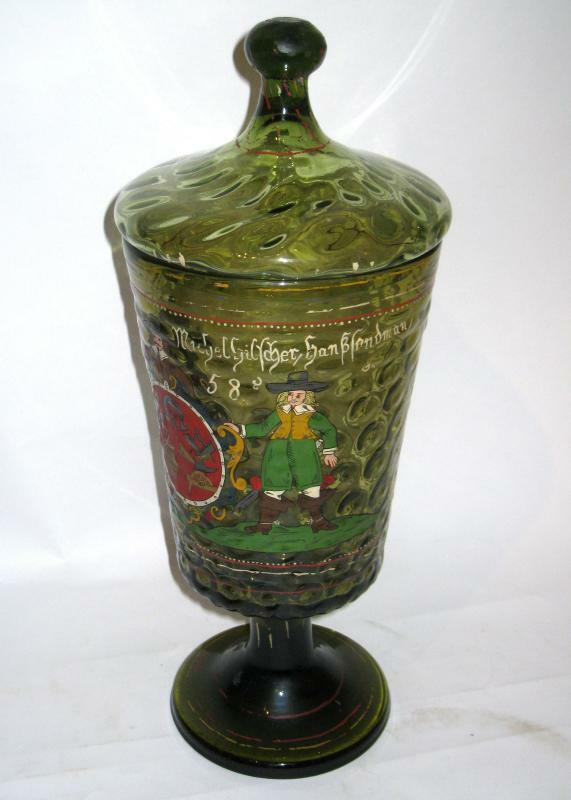 It measures 17" tall and 6.75" across, and the beaker alone without top measure 13" tall. 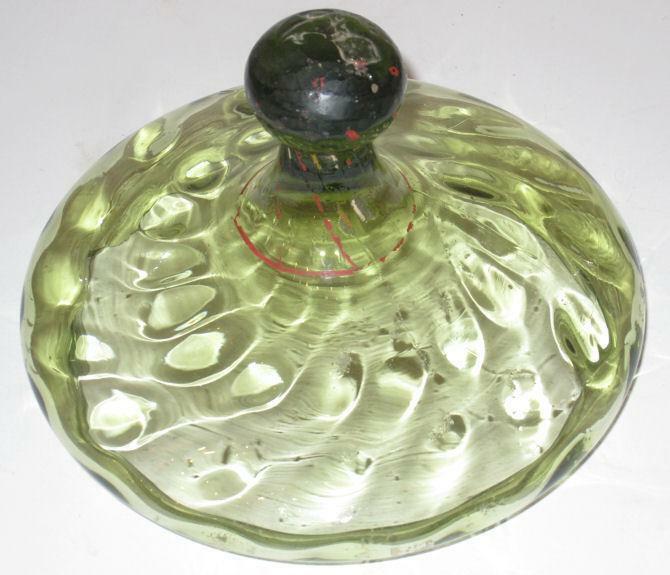 Condition of the enamel decoration is good with modest losses. 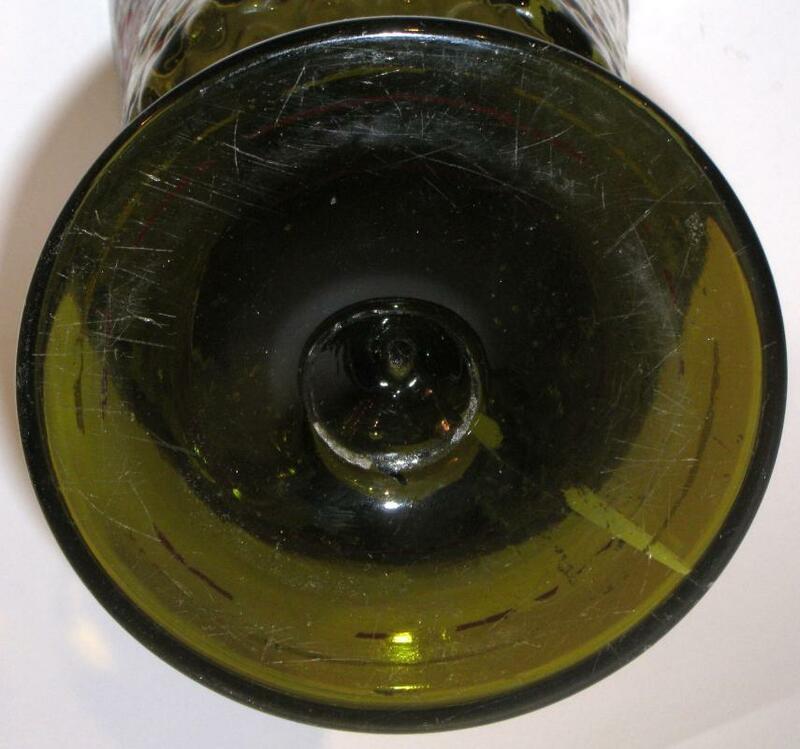 There is a chip to the inside of the lid, and no visible cracks or repairs to the beaker. 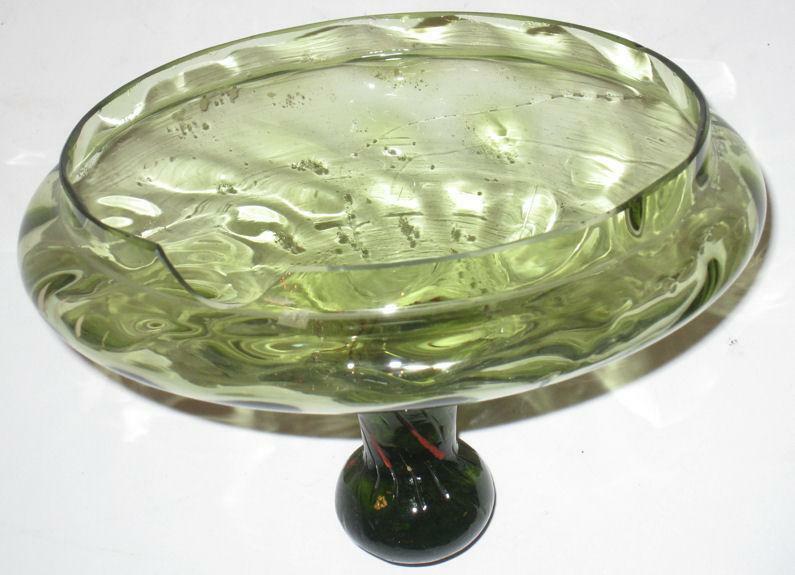 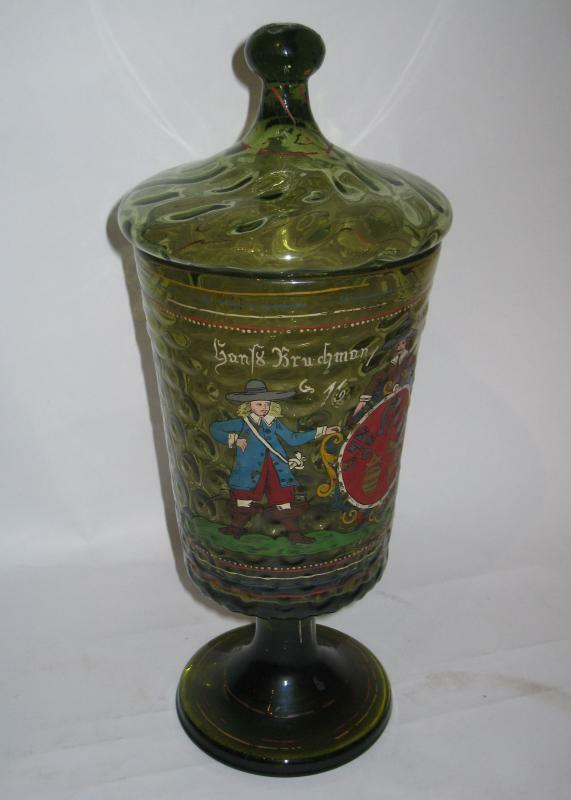 We have another green glass humpen with lid of the same shape depicting noblemen in various scenes which is also available for sale. 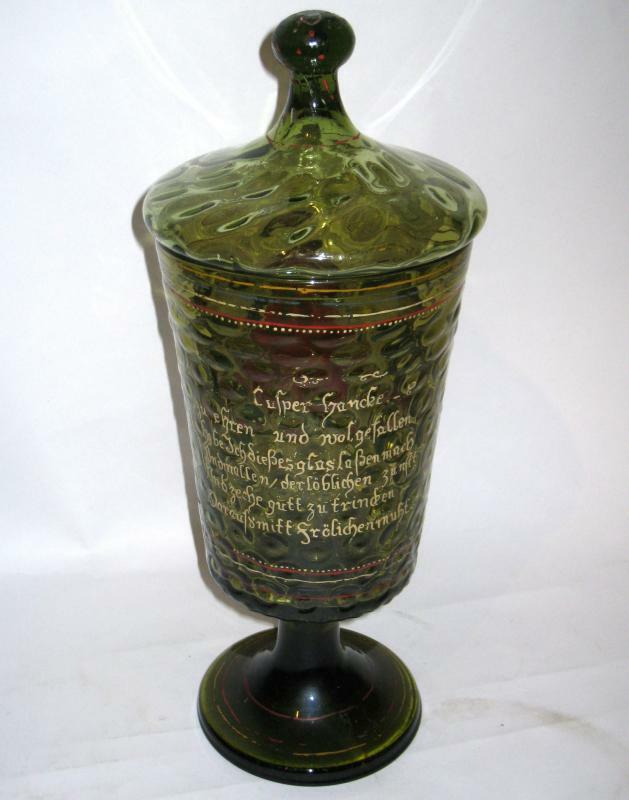 Items Similar To "Germanic Hessen Hessian Masonic Trade Guild Humpen Pokal Goblet"